Before you can move ahead, it’s always fun to look back. That’s the idea behind our annual review of Macworld’s top stories of 2012, based on page views. So here’s our look at the stories that you flocked to in 2012. This May 2011 overview of iPad-friendly styluses was so packed with information, many of you were still reading it by the time 2012 rolled around. Nothing piques our readers’ interest like a new operating system from Apple. 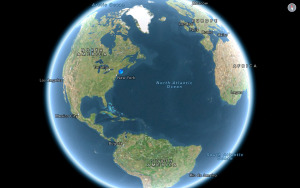 This overview originally appeared after Apple first previewed OS X 10.8 in February, with an update following the Worldwide Developers Conference keynote in June. Speaking of overviews, many of you are still trying to wrap your brain around Apple’s cloud-based services. Thankfully, this June 2011 article was updated frequently enough to take on whatever questions you might have about iCloud. Another timeless classic proves that people are still hungry to escape the tyranny of the iPhone’s assorted carriers—at least when it comes to iPhone 4 models that are still perfectly functional. 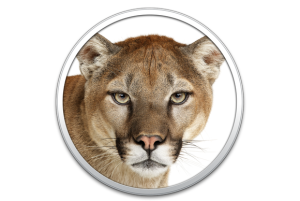 Editorial director Jason Snell got an early look at Mountain Lion in February and shared what he knew with all of you. Because he’s a giving fellow. To be fair to this not-as-relevant-as-it-used-to-be-article, iOS 5 was the up-to-date mobile operating system for roughly two-thirds of 2012. And don’t fret that everyone’s clinging to the past here—the iOS 6 installation guide will be making an appearance on this list shortly. Serenity Caldwell’s guide helped you get up close and personal with Apple’s latest smartphone. No Word for iOS? No problem—at least not if you read Joe Kissell’s advice. Another 2011 article lingers into 2012 because it was so darn helpful. Hey, you read one iPad tips article, you might as well read them all, right? This one’s a mainstay of every year-end list. We can also show you how to rip the correct DVD title with Handbrake, create custom presets, and fix Handbrake DVD ripping if you’ve installed VLC 2.0. This comparison of iPhone data plans remains relevant, I suppose, at least until T-Mobile enters the mix, as is widely expected next year. Malware on the Mac isn’t as common as it is on other platforms, so when a noteworthy incident occurs, Mac users are understandably curious to learn more. We’re guessing if you stared reading Dan Moren’s extensive review back when iOS 6 arrived in September, you’re just finishing it up now. 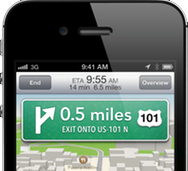 The main thing you need to know is that you should probably line up an alternative for that Maps app, as it turns out. Apple called this model “the new iPad” because it wasn’t like the company was going to release another version of the tablet just six months later.